Home/News /Tinamba is named one of the top 50 most romantic restaurants in Australia. 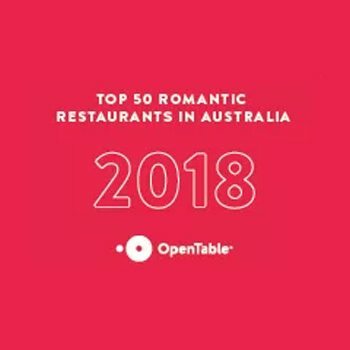 The Tinamba Hotel has just been named one of the top 50 romantic restaurants in Australia for 2018 by OpenTable diners. Here’s a link to the final list. The awards are based on more than 70,000 reviews submitted in the last year by verified OpenTable diners at more than 1,500 restaurants across Australia. Most Romantic Restaurants list for 2018 showcases the seductive spots at which couples are creating connections and savoring delicious dishes. We’re so proud of our amazing team.